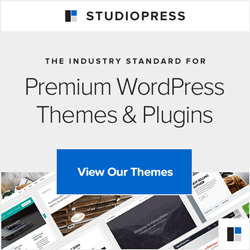 In a nutshell, before we get into specific areas of support, first place to look is within the WordPress Forums for anything related to a plugin installed from WordPress, or one of the standard themes, or with WordPress itself. The next step is to google the problem and if your first question doesn’t bring up anything useful, ask it in a different way. Feel free to pop to our Facebook page and ask there too – if I can point you in the right direction I will. Into a bit more detail on the different areas of support you can tap into. For plugins you’ve installed from WordPress (those you did not have to upload yourself) the first place to look is within the WordPress forums, specifically the plugin that is having the problem. If you go to the Plugins section of your Dashboard, then look at the rogue plugin you should see a “View details” link – this brings up details about that plugin. If you then follow the link to “WordPress.org Plugin Page” you’re taken to a page all about that plugin – go to the Support tab and have a good look through that forum for your problem and hopefully solution. You can also add your own question once registered and logged in. The Blogmistress team can help too but we charge, though feel free to ask in our Facebook page – if we can quickly help, we will. How we help, well it will of course depend on what you need, but we do take care of the updating/maintenance for WordPress sites, throw on a cape for WordPress Rescue situations, or if you need a one-off update and general health check of your site, we do that too.